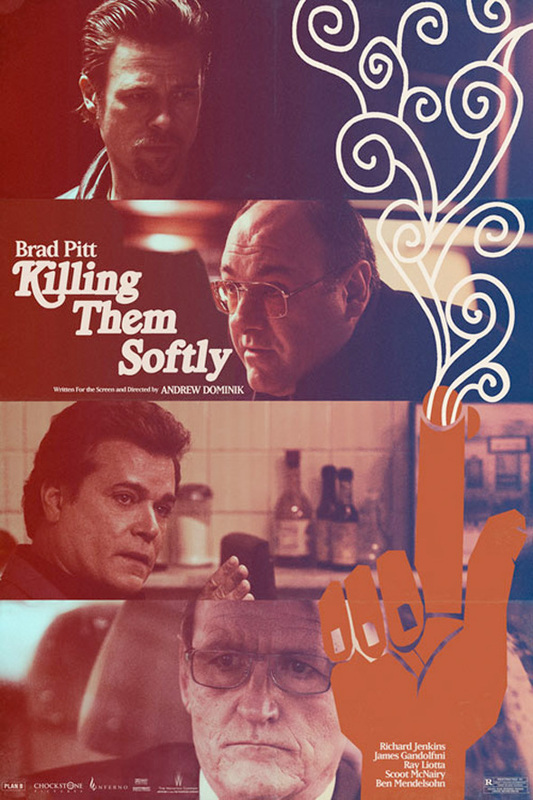 Avid poster collectors are going to have their hands full if they're big fans of Andrew Dominik's new crime thriller Killing Them Softly. 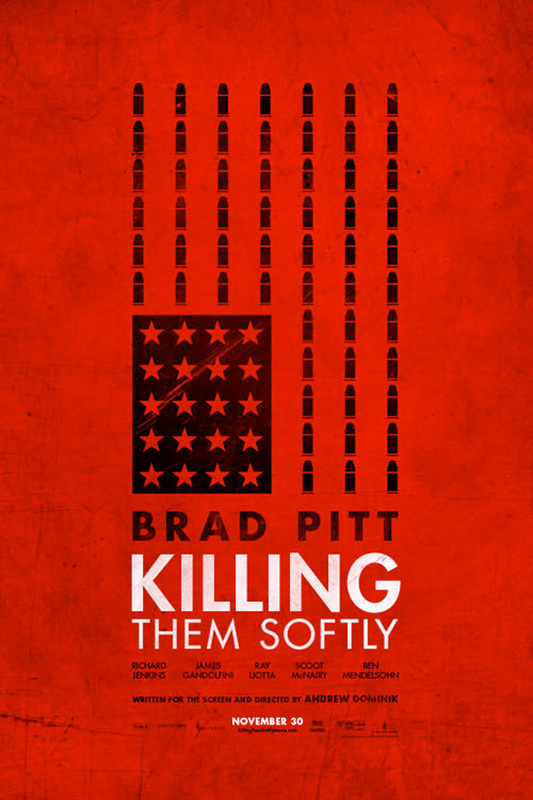 The film reunites the director with his Assassination of Jesse James by the Coward Robert Ford cast member Brad Pitt, who is also joined by some fantastic talents like Scoot McNairy, Ray Liotta and Richard Jenkins into the mix. Three new artistic posters surfaced last week, and now three more have arrived. 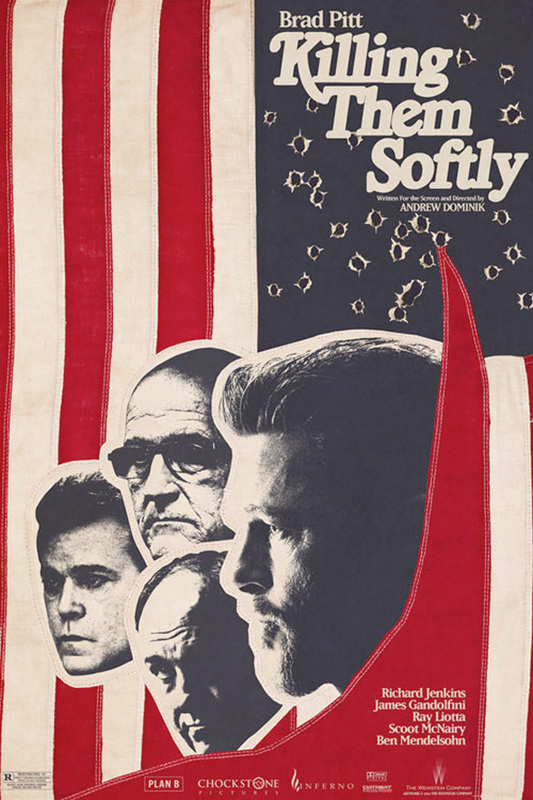 Two of them share a 70s-esque title design, but each has its own style. I'm not sure a film like this needs all these different posters, but at least they're pretty to look at. Check ’em out!